Are your trees throwing shade? Does your landscape have problem areas where nothing seems to grow? Do you have mature trees and areas where your turf is receding? Don’t accept being shaded out! 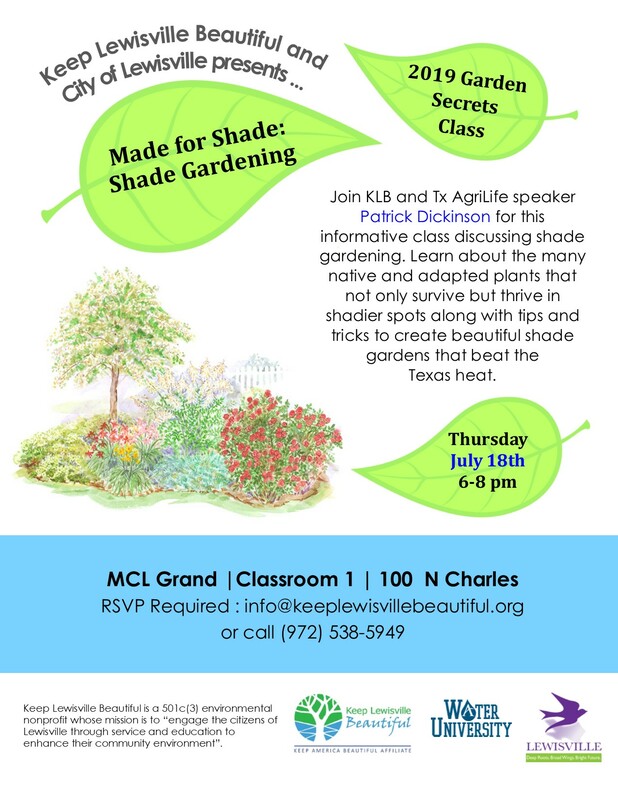 Learn about the many native and adapted plants that not only survive, but thrive in shadier spots along with tips and tricks to create beautiful shade gardens that beat the Texas heat. We’ll also cover gardening under mature trees as well as turf alternatives and hardscape options for low light areas.